The Associate Provosts and Chief Diversity Officers (CDOs) are senior administrators located in the Office of the Provost. The CDO team is responsible for university-wide diversity, equity, and inclusion efforts and initiatives. In undertaking work with this scope, the CDOs rely on building relationships with faculty, staff, and students in the various schools at Tufts to move these initiatives forward. The CDOs also work to provide data transparency through the diversity dashboard (diversity.tufts.edu) and respond to diversity-related incidents as they arise. Dr. Rob Mack provides strategic consultation with a broad vision for the role of diversity in achieving institutional excellence. He reports primarily to the Provost, while working closely with the President and the campus-wide Diversity and Inclusion Leadership Council, to serve as a catalyst to leverage best practices and resources across Medford/Somerville and SMFA to promote a culture of inclusion at the University. Dr. Mack is a member of Tufts’ Academic Council, which brings together the University’s senior leadership under the chairmanship of the President and will be a member of the Provost’s Council, which is chaired by the Provost. He works closely with Dr. Joyce Sackey, Associate Provost and Chief Diversity Officer for Health Sciences Schools. Additionally, Dr. Mack serves as Associate Dean for Student Success and Advising reporting to Dean Mary Pat McMahon. He supports the First- and Second Year Experience, including New Student Orientation, the Common Reading Program, and the Pre-Major Advising System. Dr. Mack also provides oversight of the new FIRST Center and Pre-Orientation program BEAST. 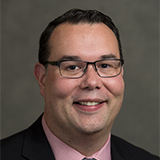 Additionally, he manages the Student Success Advisors, who provide direct support to incoming students through the major declaration process. Dr. Mack and his team also provide support for students who are first-generation college goers, low income students, and students with undocumented status. Rob Mack came to Tufts in 2012 from Curry College, where he directed the academic advising system and provided support to students who faced transitional and academic challenges. Prior to Curry, he was Director of Student Support Services program, a federally funded TRIO program providing support to first-generation college goers, students on financial aid, and students with disabilities. Prior to serving in higher education, Rob served as the Clinical Director for the Springfield, MA Police Department’s Psychological Services Unit. Dr. Joyce Sackey is Associate Provost and Chief Diversity Officer for Tufts University Health Sciences Schools on the Boston and Grafton campuses. A member of the Provost Senior Leadership Team, Dr. Sackey reports directly to the University Provost and Senior Vice President. She is a member of the University’s Academic and Provost Councils, and works closely with the academic leadership to fulfill the strategic mission and goals for diversity and inclusion across the Tufts’ health sciences schools and Centers. She served on the President’s Council on Diversity and Inclusion and chaired its Graduate and Professional Student Experience subcommittee, and was one of the co-authors of the Council’s 2014 Report to President Anthony Monaco. She has been a member of the Diversity and Inclusion Leadership Council (DILC) since its establishment in 2014. Chaired by President Monaco, DILC is responsible for guiding the university’s strategy and policies with regards to diversity and inclusion. 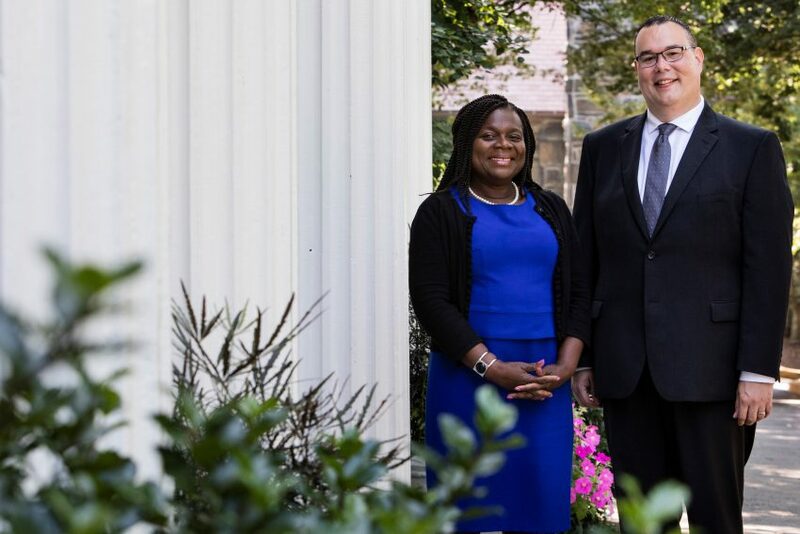 Dr. Sackey works closely with Dr. Robert Mack, Associate Provost and Chief Diversity Officer for Medford/Somerville/SMFA campuses, and with whom she co-chairs the University-wide, Bridging Differences Initiative. 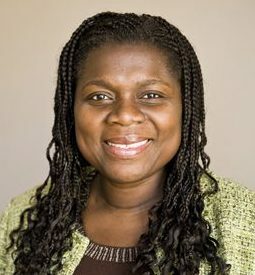 Dr. Sackey is also the Dean for Multicultural Affairs and Global Health and Associate Professor of Medicine at Tufts University School of Medicine (TUSM), a position she has held since 2009, and reports directly to the Dean of the School of Medicine. As Dean for Multicultural Affairs at TUSM, she oversees the school’s key diversity initiatives, including under-represented minority (URM) faculty and student recruitment, retention and development. She oversees the medical school’s Office for Multicultural Affairs and its pipeline programs that targeting URM students at the high school, college and post-graduate levels, programs whose overall goal is to increase the number of URM students entering the biomedical careers and health sciences careers. She co-chairs the school-wide, Multicultural Fellows Council and is Chair of the Faculty Advisory Council on Excellence, Diversity and Inclusion. As TUSM’s Dean for Global Health Dr. Sackey provides oversight for the School of Medicine’s global health programs and chairs the school-wide, Global Health Faculty Council. Her office provides opportunities and resources for students to gain exposure to global public health and health care delivery in international settings. Dr. Sackey serves as TUSM’s representative to the university-wide Global Advisory Board, and coordinates the exchange of information and knowledge in global health more broadly within the TUSM and Tufts University. Joyce is the inaugural Dr. Jane Murphy Gaughan Professor at TUSM. The Dr. Jane Murphy Gaughan Professorship was established in 2018 through a gift from Gerard Gaughan, M.D., M71, in memory of his wife, Dr. Jane Murphy Gaughan. The Gaughans have long championed efforts to support diversity and underrepresented-in-medicine students at our school particularly through the Tufts / UMass Boston Enrichment Program, an immersive, winter break experience for URM undergraduates interested in learning about careers in medicine or biomedical science. The Gaughan Professorship is meant for a physician leader who is responsible for leading diversity initiatives and programs. In addition to the Gaughan Professorship, Dr. Gaughan’s gift also establishes the Gerard L. Gaughan, M.D., M71, and Jane M. Gaughan, Ed.D., Student Success Fund, which funds diversity initiatives and programs at the medical school. Dr. Jane Murphy Gaughan Professor Faculty Director, Prematriculation Summer Program (PSP) for incoming medical students. Faculty lead, TUSM-Ghana Global Health program. Prior to joining Tufts, she was Assistant Professor of Medicine and Associate Director for Oliver Wendell Holmes Society at Harvard Medical School, and Attending Physician in Medicine at Beth Israel Deaconess Medical Center, where she also completed her internship and residency in internal medicine. She completed advanced fellowship training in medical education and served as Senior Rabkin fellow in the Shapiro Institute for Education and Research at BIDMC and HMS.